Abby the Librarian: #48hbc : Eruption! 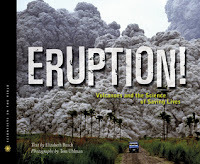 I love the Scientists in the Field series and this is a nice entry, exploring volcanologists and the work they do to predict when volcanoes will erupt and try to keep people safe. It's not so easy to order an evacuation - it can be risky and expensive, and if nothing happens people are unlikely to evacuate twice. 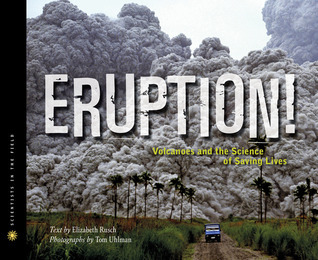 I'm doing a program on volcanoes later in the summer, so I wanted to read this in preparation! Boyfriend started Cloud Atlas, but I think it wasn't his thing (he says "It feels like I'm reading a book that's in another language... and I'm on drugs."). So now he's picked up Cooked by Michael Pollan (which he is enjoying more).